Even if you’re not using or familiar with the Internet of Things, you’ve undoubtedly heard about it. In a nutshell, IoT is about connecting anything that can be turned on or off to the internet. This could mean anything from a toaster to a jet engine. Today, more and more manufacturers are joining the IoT revolution. In Verizon’s recent State of the Market Report, the IoT provider revealed that IoT network connections for manufacturers experienced 84 percent year-on-year growth between 2016 and 2017—more than any other industry. In fact, rapid adoption of this technology has many IoT providers segregating manufacturers into a specialized category called the IIoT (Industrial Internet of Things). How Can the Internet of Things Help Me? Could access to real-time data help me with decision-making and operations planning? Are there some problematic plant processes that cut into profits, and could real-time data help me solve those issues? Which equipment can be embedded with intelligence to communicate problems and/or inefficiencies to plant personnel or management? Answering these questions may help you understand where and how you can benefit from IoT. If you’re still struggling to understand the potential benefits of IoT, consider the following possible benefits: improved energy efficiency, proactive maintenance, and improved product quality. Energy usage can be one of your company’s greatest expenses and, unfortunately, you’re probably overpaying for it. That’s because your energy bill doesn’t break down different areas of energy consumption to allow you to see where inefficiencies may lie. IoT lets you track every individual piece of equipment and its performance, shining a light on abnormal consumption patterns and efficiency gaps while pinpointing areas of improvement. With tightening environmental regulations, the ability to improve your energy efficiency becomes even more valuable. Relying on historical data means measuring how often machinery fails and developing a preventative maintenance schedule so that fixes can be made before a failure occurs. Too often, however, we simply wait for equipment to fail and then fix it. With IoT, manufacturers receive real-time data that helps to proactively complete maintenance. For example, IoT sensors may indicate machinery is becoming overheated and steps can then be taken to reduce temperatures or usage rather than experience a break in production due to failure. Maintaining quality is critical for all manufacturers, especially small and medium-sized companies wanting to grow their business. One factor that is a large contributor to poor-quality products is often your very own equipment. Incorrectly aligned, calibrated, or maintained equipment can result in defective products, and this can have far-reaching effects, including pricey product recalls, loss of customer trust, loss of customers, and possibly loss of life. IoT can make an incredible difference in quality management. For instance, sensors can alert staff when there is a production issue so it can be taken care of before a lot of waste occurs and any issues can be addressed before a product leaves the factory floor. California continues to lead the nation’s manufacturing sector, and we can maintain this position by constantly evolving with new technology. 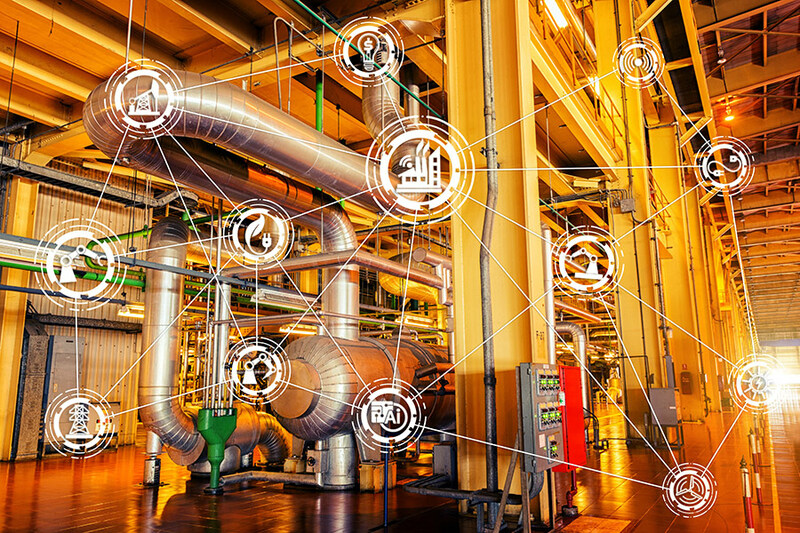 IoT’s real-time data can improve energy efficiency, product quality, and equipment standards while reducing downtime and allowing for faster decision-making. Make 2018 the year that you make an investment in IoT and your manufacturing business.